You’ve probably all known me long enough by now to know that I’m pretty much a dork on a multitude of levels. (For those of you who hadn’t picked up on that yet, check out any of these posts.) And so it was that, in the name of good dorky fun, I set out to create my own writing prompt generator! Whee! And what could use randomness and be less complicated than a die? I considered using a d20, but didn’t want to do that much work (see point on basicness), so I stuck with the classic six-sided die. Everybody has a d6 laying around! 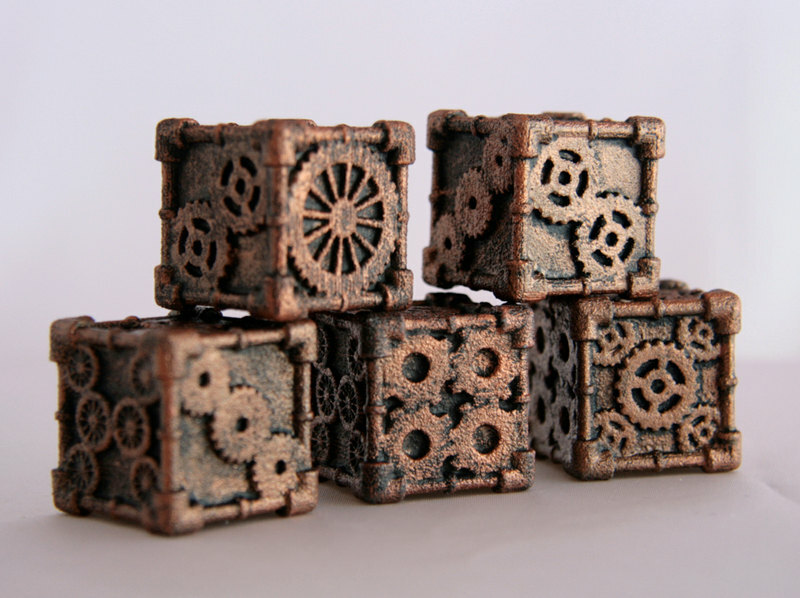 If you too would like to make your own random prompt generator, all you need is a die (or dice! You can do as many prompts as you want! ), a writing utensil, a piece of paper, and your fantastic brain. And fantastic hands for writing with. And maybe a hard surface to write on as well. Anyway, you get the point. Dice, paper, pen. (This really doesn’t have to be complicated. Skip this step entirely if you’d rather, and just write a bunch of random stuff. Because random!) After you know what topic you want each face of your die to represent, flesh it out a little further. Walk into the adjoining room. What is the first physical thing you notice? Put this item in a story being used in a nonconventional way. Look at the newspaper/go to an online news outlet. What is the main headline? Without reading any more of the story, write a story based on this premise. Text the person you last texted and ask what their favorite show/book was as a kid. Write a story based in that world. Look out the closest window. What is the first moving thing you notice? Write a story from his/her/its point of view. Turn on the radio and listen for one complete sentence. Use that line as the first line of a story. Go into a nearby bathroom or closet. If you knew you would be attacked in one minute, what would you use to defend yourself? Write a story that starts with that preparation. I guess #2 is kind of Inciting Action/Character/SomethingElseEntirely, depending on what the headline is. But you get the point! Each prompt is designed to have the potential to be different each time, thereby making it (almost?) infinite. But they’re also each simple enough to be broadly applicable (can be used in nearly any situation you would typically find yourself in- might not work as well if you’re camping or in the middle of a global robotic takeover), and widely interpretive (can be understood in a variety of ways, thus adding to the number of possible stories being generated). So after working all that out, the only thing left to do was to field test it. All in all, this was fun. I don’t know how often I’ll use my little generator, but I felt more creative just after having made the thing. Got the writing juices flowing! Yummy! And most of the time, that’s all I really need. So, good job, writing prompt generator. I’ll keep you. Let me know in the comments if you whipped up your own writing prompt generator! I’d love to hear about your prompts, or any stories that came of it. Happy writing!